Mama Fashionista: 2-In-1 All Natural, Anti-Pollution Double Whammy Products from Tata Harper & PHYTO! 2-In-1 All Natural, Anti-Pollution Double Whammy Products from Tata Harper & PHYTO! 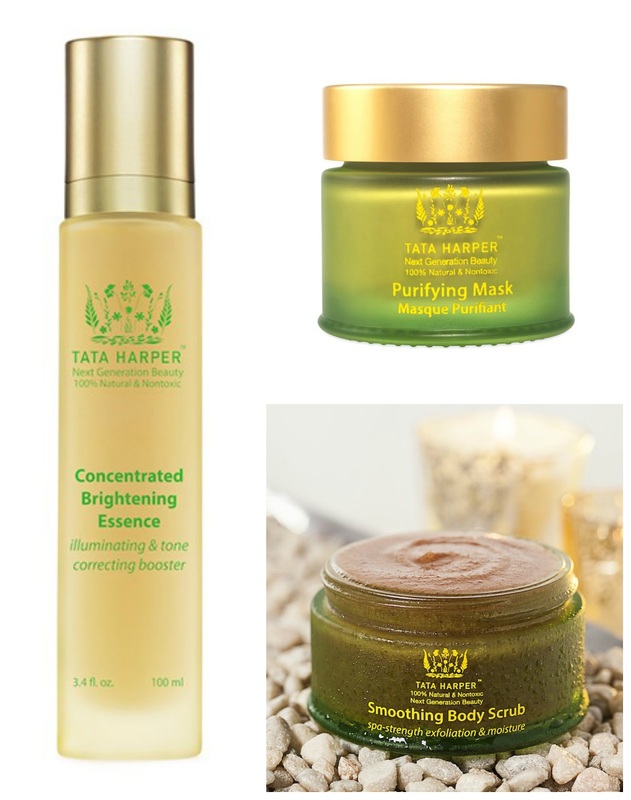 Tata Harper Concentrated Brightening Essence: Illuminating & Tone Correcting Booster ($125, 3.4 fl. oz. at TataHarperSkincare.com): This high-potency, lightweight brightening essence delivers an instantly refined, radiant look and dramatic, long-term lightening effects. A delicate infusion of Alpha and Beta Hydroxy technology tones the complexion, minimizes pores and visibly fades the appearance of dark spots and hyperpigmentation for a more even, luminous glow. This silky formula enhances the performance of all serums and contains 16 high performance ingredients. Tata Harper Purifying Mask ($65, 1 fl. Oz, or 30ml. at TataHarperSkincare.com): Fight visible aging effects caused by environmental exposure and pollution, while flushing away impurities from the surface of the skin with this probiotic-powered deep cleansing mask that protects from harmful environmental aggressors, without stripping or affecting the skin’s natural balance. Containing 23 high-performance ingredients, including yogurt probiotics, broccoli extract, brown algae, prickly pear seed oil, sandalwood seed oil, white clay, Turmeric, Fennel, Ginger, Clove and Silver Fir essential oils, this powerful product supports the natural detox process, while helping energizing the skin for a firm, lifted and more youthful appearance. It is suitable for all skin types. Tata Harper Smoothing Body Scrub ($78 at TataHarperSkincare.com): Enjoy an at-home spa experience with this lush body scrub, which thoroughly exfoliates and hydrates, leaving skin softened, smooth and glowing. This multi-particle polishing complex, a powerful blend of five biodegradable exfoliants including Pink Himalayan and Hawaiian Sea Salts, Cranberry Fibers, Apricot Seed Powder and Organic Sugar micro-polishes the surface and buffs away dead skin to eliminate unseen impurities, leaving the skin smooth and conditioned. Argan Oil, combined with the Estate Grown Beauty Complex, thoroughly hydrates the hydro-lipid layer, delivering long-lasting moisture to your entire body. Tata Harper Purifying Cleanser (not pictured; $62; TataHarperSkincare.com): This cleanser combats the daily wear and tear of environmental exposure and pollution by effectively clearing pores of excess oil, dead skin, and buildup – while maintaining the skin’s moisture balance. A powerfully purifying cocktail of sugars, Broccoli extract and fruit enzymes thoroughly cleans the skin and refines pore appearance, while an invigorating blend of essential oils helps flush away impurities for a deeply refreshed feel. This soap-free cleanser has a cooling effect on the skin and helps to balance oiliness. PHYTO Huile Supreme ($40 at Sephora): This rich, beautifying treatment oil that instantly absorbs into the hair while delivering deep down nutrition. The versatile formula can be used prior to blowdrying or as a finishing touch to discipline thick and rebellious hair. Just a few drops creates perfectly defined curls, reduces excess volume, and provides instant nutrition and long-term repair. It delivers anti frizz protection, volume control, manageability, and curl definition, leaving hair smooth, shiny, and soft. PHYTO Phytoneutre Clarifying Detox Shampoo ($24 at Sephora or Blue Mercury): This detoxifying shampoo is enriched with eucalyptus oil to cleanse, refresh, and stimulate the scalp without stripping hair of essential moisture. It effectively eliminates product build-up that tends to weight hair down and dulling residues such as smoke, pollutants, and hard water minerals. When used weekly, hair is left soft, gleaming, and full of body. 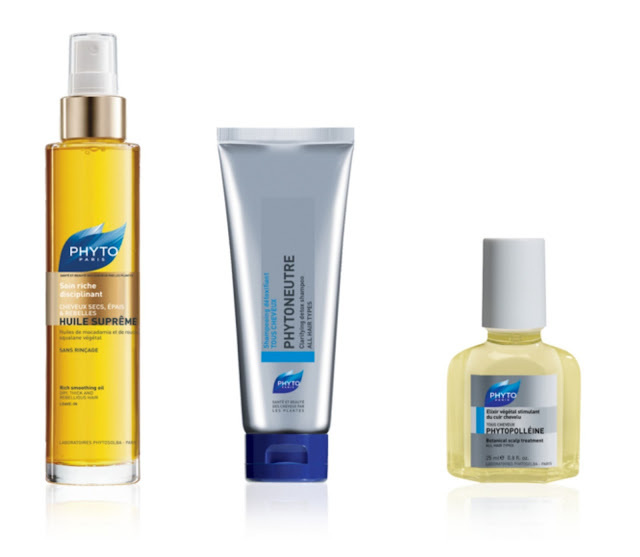 PHYTO Phytopolleine ($40 at Sephora): A universal scalp treatment that fortifies hair, balances and clarifies troubled, flaky scalps, and improves the efficacy of hair loss treatments (such as Phytocyane). Energizing and fortifying, it harnesses the natural powers of rosemary, sage, cypress, eucalyptus, and lemon to instantly purify the scalp and support natural microcirculation. It is recommended for those suffering from an unbalanced scalp whether it is dry, oily, itchy, or irritated. A fortifying boost for sensitive, weak, and anemic hair, it serves as an ideal preparation for thinning hair treatments such as Phytocyane.